The stunning Sleigh 3 Piece Room set from Little Acorns is the perfect complement for any nursery. 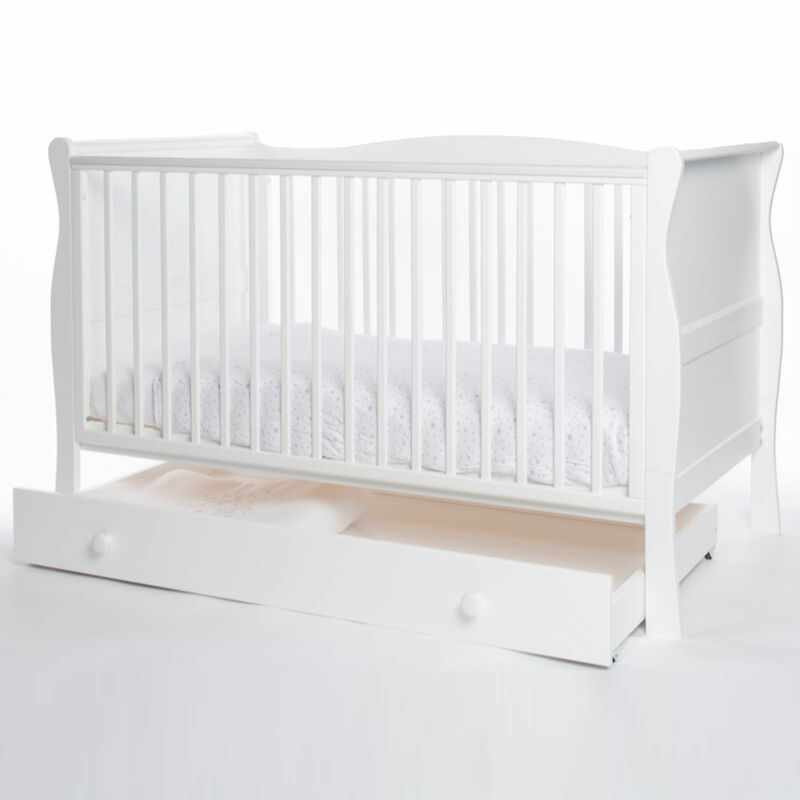 Boasting a sleek, curved design and a crisp white finish, the elegant Sleigh Cot features 2 mattress heights which can be lowered as your baby grows in order to continuously keep them contained safely. An under-bed storage drawer is also included within the package, which is ideal for when space is limited. The under bed drawer is Perfect for clothes, toys or changing accessories. 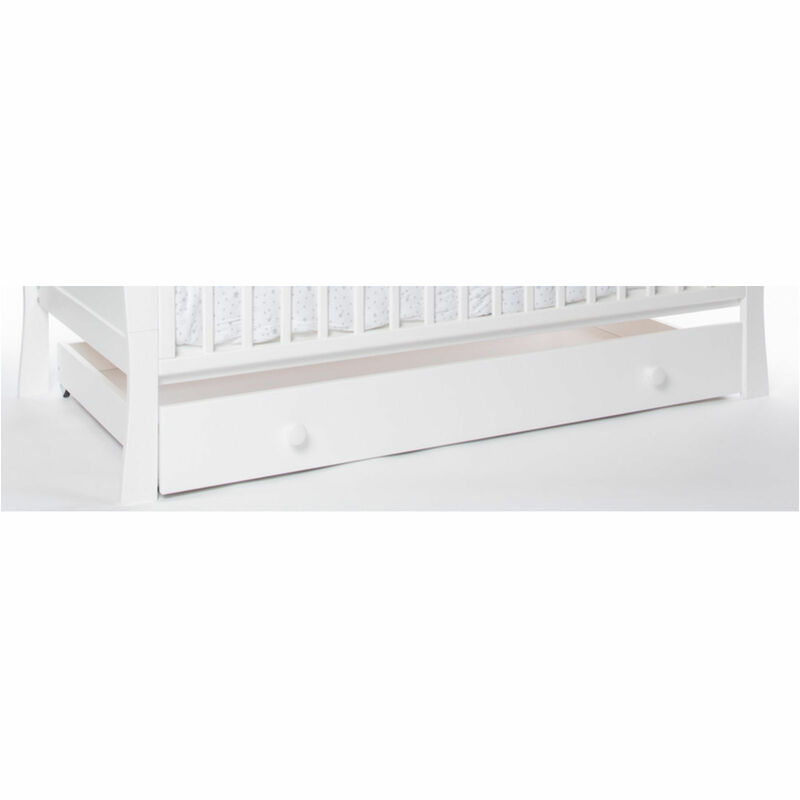 The storage drawer sits beautifully under the cot and rolls out easily for access. Combining both function and form, the Classic Wardrobe from Little Acorns is double-sized to provide ample storage space. The wardrobe features, open shelves and 2 hanging rails. 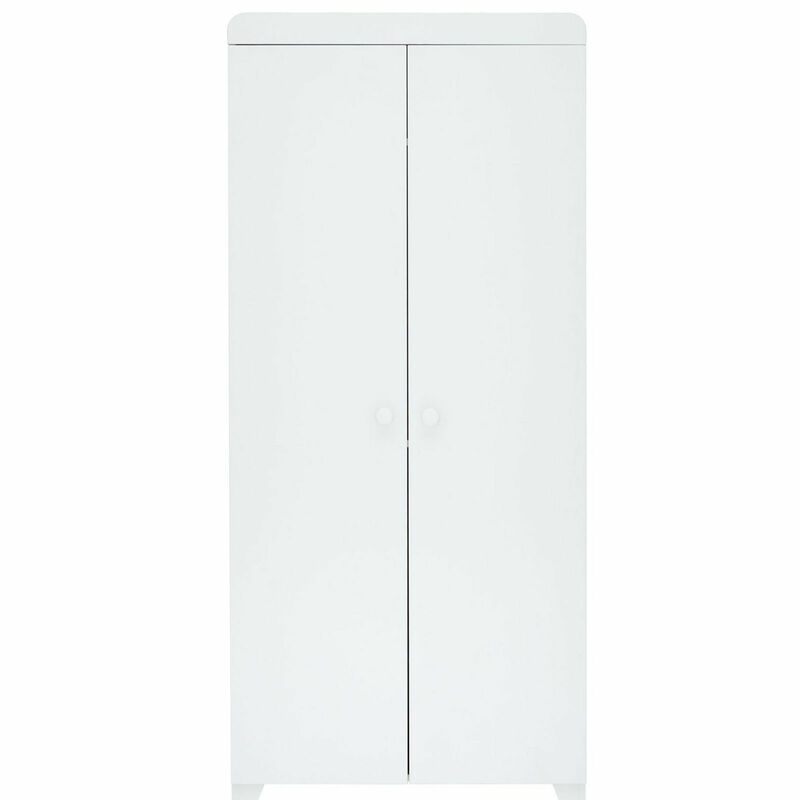 This classically styled wardrobe ensures your little one's clothes and other essential items are perfectly stored in one space-saving mum and dad the hassle of rooting through multiple drawers.